Another birthday. Another year lived in your absence. Another celebration of your life, similar to the last. Another year in the middle of what was and what’s to come. Every step that takes me farther from what was, tears at the strands of memory that keep me connected to my experience of you. I still feel like I’m losing you; changes that take shape in my life carry another weight of loss as they magnify how much has occurred in your absence from my world. And the changes keep coming; I continue to have to let go of you. But every step that takes me closer to what’s to come, ignites my soul with hope for a new, unbound experience of you. I can envision our reunion; changes that take shape in my life are ripe with promise as they magnify God’s work in and through the pain of your absence from my world. And God keeps moving and working in unexpected and undeniable ways. If the greatest gift of this life is to taste more deeply of my Savior’s love, to experience more and more of Him and His Kingdom, then I continue to unwrap that gift each day through your life and death, Judson. 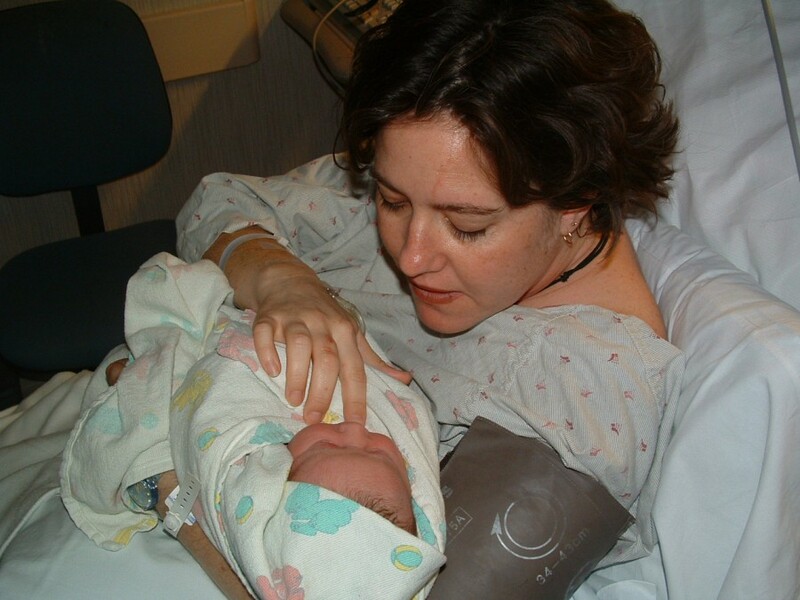 You were this beautiful, precious baby born on Christmas eve, an amazing gift we placed under our Christmas tree eleven years ago, but I had no idea how much you would illuminate the Gift of all gifts born on Christmas day over 2000 years ago. You are like the star shining in the east, inviting me to come worship the King. And so I worship. Even as I feel all the pain of celebrating another birthday without you, I worship. For in that worship, I experience the thrill of hope and my weary soul rejoices. I love you so much, Juddy. Happy 11th birthday, my beloved gift! 16 Responses to "Greatest Gift"
I'm sorry for your loss, I can't even imagine your pain of losing a child but your faith in our lord and his promises encourages me every time I see one of your posts. Another promise of the Lord I see fulfilled through you and Judson's death is the promise that God does take what the enemy means for our harm and turns it into good. And God WILL turn our ashes into beauty. God bless you and your family. You guys are a light in the dark. Time doesn't exist in Gods kingdom. I truly believe that God will return this precious gift that you so long for. I'm sure he's just as anxious to see his mommy and when that moment comes time will cease to exist. You will once again hug and kiss his precious little face. You will have all the time in the world to enjoy all those moments you missed in your world with him. God bless you and your family. May he comfort you this Christmas and every time you miss little Judson just remember. You will see him again. I don't think that could have been said more beautifully…oh, what a joyous reunion it will be…God bless you and your family. Beautiful! May God continue to heal your hearts in the absence of Judson. I was just talking to my Mom about the parallel of Judson and our Greatest Gift ever. Both sent to Earth, for a short time, to save lives and souls. Crying right now. She said, 'well you will get to see him someday.' HAPPY BIRTHDAY, you sweet, big brown-eyed, funny, smart boy. I love you more every year. See you soon. Love and prayers Drake, Christina and Jessie and Grannys and Pa's. Thank you for sharing your precious Christmas present! Happy late birthday baby boy, We know your happy and of course on this day of Jesus birth. Thankful that I got to know you and feel the joy that your brought your family. Your words are such an encouragement to us. Thank you, Jolie! Tomasa, we bank on our reunion with Judson every single day. This is, indeed, the genuine hope. Thank you for your love and support! That means a ton to me, Debby. Thank you! Oh my, Linda, you just have a way of touching us with your words and thoughtfulness. Your tears are a gift. We receive your love and send it back to you!